While most people still think of salt as a health threat, researchers heap praise on it because they discovered that reasonable consumption of salt is actually healthy. Here are some rehabilitating facts. Fists, salt provides essential natrium, chlorine as well as potassium, magnesium and iodine. Second, salted water is the most effective remedy for infected wounds. These wound healing powers are explained by antibacterial content of salt. Here are more healthy facts about salt. You can name hot salt solution a truly curing water. You know why? 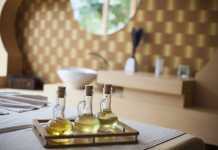 In fact, salt baths remain popular and effective treatment for various skin diseases. They cure chronic wounds, infectious diseases and swellings. Salt bathes are also used to dry wounds and they are recommended to those suffering from varicose veins. Salt inhalations are beneficial for people with upper air passage lesion. 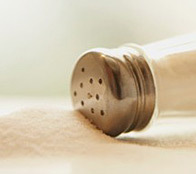 Salt is also a great remedy when it comes to digestive disorders and intoxication. You still think the salt poses health threats? None of this has an evidence base at all – refer to our website for scientific evidence to the contrary – salt most definitely causes adverse health effects. Just because external salt use can be helpful (for example, in wound cleaning) does not mean the same thing as being good for human consumption!